The Manufactures Dipierre srl company was established in 1972 (original name Paglia Lucia) from the mind of the founder Salvatore De Pasquale, inspired by many years of experience and a tenacity and strength of driving will. Mr Salvatore has been joined at different times by his two sons, with a generational shift rich in synergy among experience, tradition and innovation. The activity, initially structured to provide a service of façon third parties, produced items for well-known Italian brands but, acquiring more and more art craft, it became a brand. The qualitative feedback received from these collaborations has consolidated entrepreneurship and stimulated the desire to offer the market its own production: Dipierre was born, a company able to present collections of man shirts of medium-high level which over the years developed its own exclusive style. Consolidated sales in the past year just is approximately € 1.3 million with a production of about 80,000 pieces. Our company, born to produce shirts for third parties (1972), has become in a few years a major brand producing its own shirts, as a consequence of experience and professionalism matured in decades of work, in a continuous blend of tradition and innovation . 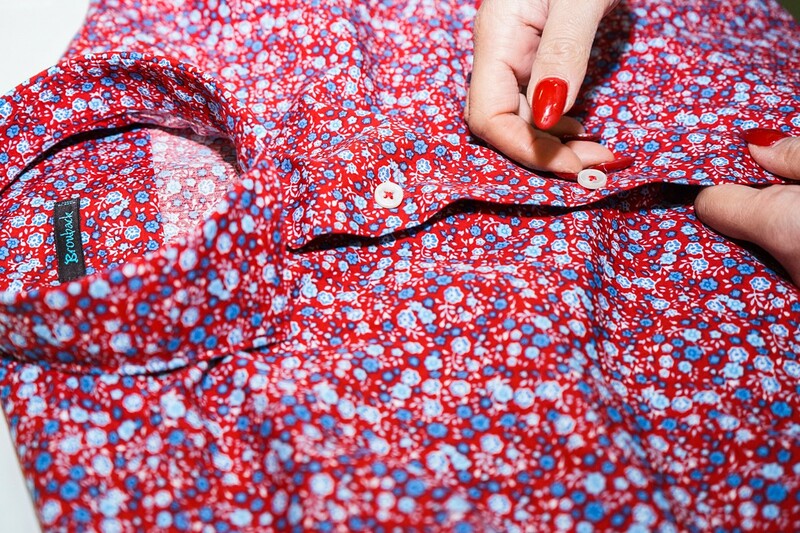 Today the company is able to develop a different concept from the usual man’s shirt. Over the years, we have expanded our collections with products of a unique style, characterized by a variety of offers, dedicated to meet the needs of the modern man, on various occasions of use: shirts for business and leisure, formal and trendy. Our shirts are designed for a dynamic and active man, attentive to quality but also to value for money. That’s why we revisited the classic shirt (we were innovators in this way in 2003) in a washed concept, cured at 140 °, pleasant to look at and comfortable to wear. Man wearing one of our garments will immediately appreciate the softness of its fabrics and the attention to details. One feature that has always distinguished us and made us sound on the market was the will of the company management to produce entirely in Italy. The Made in Italy is a subject which we have always believed with conviction in. Our staff, the machines we use, the rigorous attention to finishes through a scrupulous control of details, allow our company to get the best in terms of quality of the product. 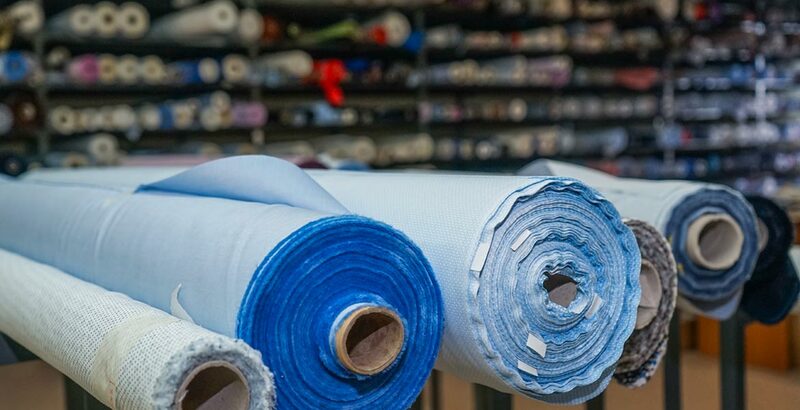 Our workshops are equipped with modern machineries: all stages of production take place through the use of advanced technologies, from cutting to sewing machines, up to ironing. Semi-automatic cutting we use is one of the most common materials processing techniques, in particular for compact cottons. Thanks to continuous investments in the latest technology we are able to fulfill orders of the most demanding customers. The Company Management, to operate competitively and reliably on the market, and to satisfy the customer through optimized business processes that maximize the quality of products has decided to operate only with compact yarns which ensure durability and attractiveness to products. The same is controlled during all the processing phases in order to obtain a result which fully satisfies the customer without neglecting the environmental impact. The value for money is great, and it’s one of our strengths together with the seriousness, punctuality and dedication with which we do our work. L’azienda da sempre disegna e produce in Italia, facendo del Made In Italy la sua filosofia. La Our company has always designed and produced in Italy, making of the Made In Italy his philosophy. 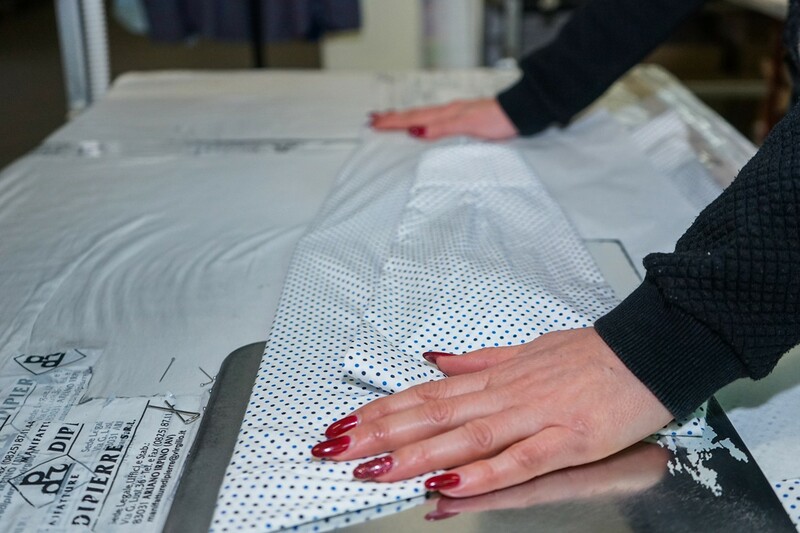 The Manufactures Dipierre Srl is a manufacturer of men’s shirts of excellent quality. Every stage of production takes place completely within our territory. The staff of Manufactures Dipierre S.R.L. 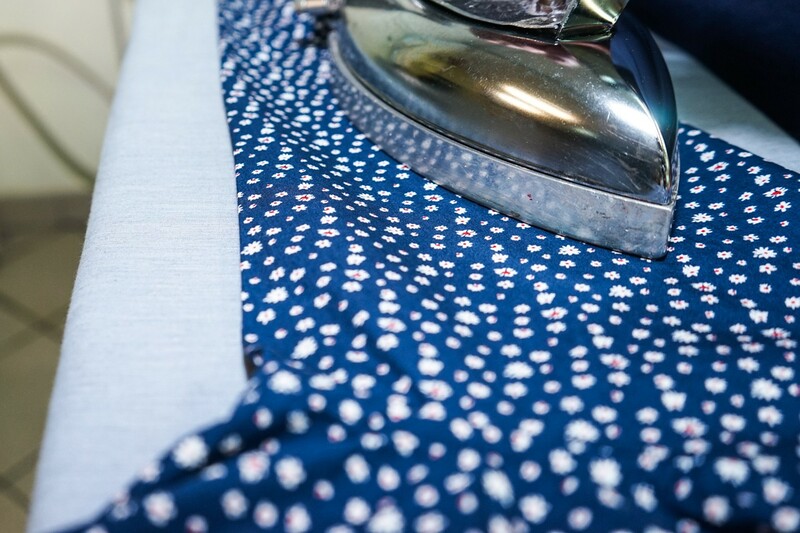 is composed of 7 units mainly engaged in the two stages of processing we perform within our company: cutting and ironing. Taking advantage, as mentioned, of modern technological machines, we ensure a well-made product. The stitching of the product shirt is made outside at partner laboratories personally selected by the company owners to ensure that each processing step is performed according to the quality standards that distinguish us. Our factory is located in the center of Ariano Irpino (Av), in south-central Apennines, at 12 kms from the exit of the tollgate Grottaminarda of the A16 (Napoli-Bari). It is in a two floors building, for a total of about 1,000 square meters. Inside the building the various departments are located in order to make production layout efficient and easily identifiable. When you address to the Manufactures Dipierre S.R.L. you can count on a reliable and qualified collaboration. We provide a complete service to our customers, thanks to our expertise and our flexibility, aided by an advanced production technology. We are a punctual and reliable partner. Our readiness for a constructive and sincere collaboration is immediate.